FARNBOROUGH, England (Reuters) - Britain wants to build its first spaceport for launching satellites in Scotland, with the government kick-starting the project by handing almost 30 million pounds in grants to companies including Lockheed Martin <LMT.N>. 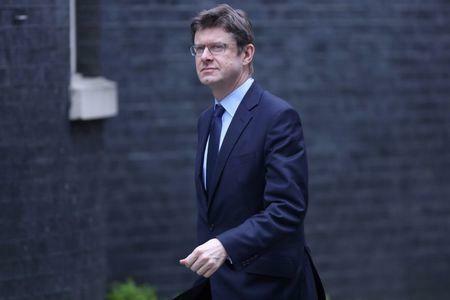 UK Business Minister Greg Clark said the new site at Sutherland on the northerly-most tip of mainland Scotland would provide facilities for vertically-launched space rockets and satellites to take off into orbit. Under the plans announced on Monday, U.S. group Lockheed and its partners will receive 23.5 million pounds in grants from the UK Space Agency which will go towards establishing launch operations at Sutherland and developing a new system for deploying small satellites in Reading, southern England. London-based Orbex has received 5.5 million pounds to build a new rocket launch from the site at Sutherland, which will help develop its orbital launch vehicle to deliver the small satellites into orbit. The government said the investments were the first steps to developing a national space programme. "We want Britain to be the first place in mainland Europe to launch satellites as part of our Industrial Strategy," Clark said in a statement. Britain is keen to boost its space sector at a time when it faces a challenge because of the country's departure from the European Union next year. This has meant some UK-based companies have been excluded from future work on the EU's 10 billion euro (£8.8 billion) Galileo satellite programme. Britain's space industry is considered a success story: it is growing four times faster than the rest of the UK economy and the country has a 7 percent share of the global space industry. Funding was also provided to other sites in Scotland, Wales and Cornwall, the western tip of England, which are examining their potential for horizontal spaceports. Horizontal spaceports will be required further in the future to underpin a UK space flight market. Small satellites used for observing conditions on the ground are the fastest growing segment of the $260.5 billion global satellite industry, according to the Satellite Industries Association. The government said satellites could be launched from Sutherland as soon as the early 2020s and hundreds of jobs could be created.